In addition to these subjects, Life Skills such as entrepreneurial opportunities, problem solving, critical thinking, collaboration, IT, developing self-esteem and study skills round off the holistic curriculum. Remedial assistance is also available on campus. We acknowledge that we live in a technology- and media-immersed world with access to an abundance of information, rapid changes in technological tools, and the ability to collaborate and make individual contributions to society. To be effective, Pridwin has state-of-the-art computer and robotics centres. iPads are allocated to every grade. We have a specialised internally-developed Technology curriculum that is followed from Grade 0 through to Grade 7, and the skills that are developed are integrated into the other subjects. The academic curriculum comes alive and is given relevance through the use of different technological resources, such as interactive whiteboards and Apple TV, in every classroom. The library is well stocked for leisure and research purposes. Our pupils regularly take part in a number of benchmarking assessments. Our Grade 4s write the Trends in International Mathematics and Science Study (TIMSS) and Progress in International Reading Literacy Study (PIRLS) assessments; our Grade 4 to 7 boys compete in the Mathematics and English Olympiads; and the Grade 7s write the ISASA Standardised Assessment Tasks (SATs), which benchmark the standards for English, Mathematics and 1st additional languages. Pridwin has a unique Grade 7 Leadership Development Programme. Our Life Skills curriculum develops the boys’ leadership skills based on leadership teacher and author Jim Collins’s Good to Great Level 5 leadership qualities. Our boys attend a leadership camp in the beginning of their final year, where they learn and apply these attributes. 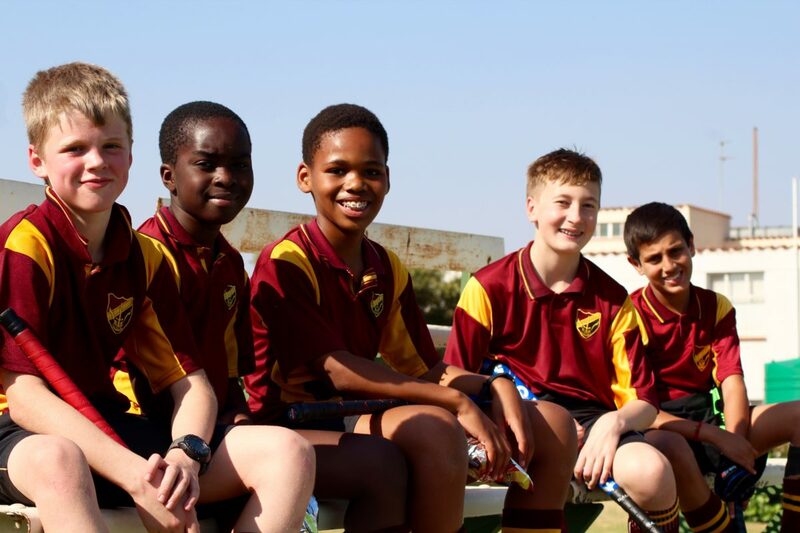 All the boys are given the opportunity over the first two terms to demonstrate their leadership skills by becoming monitors, who are given responsibilities and are accountable for servicing the school. In the 3rd term, the Grade 6 and 7 boys, as well as the teaching staff, vote for the best performers in leadership and they are formally given monitor status. The Grade 7s also participate in a great programme, taking on the role of “big brothers” to the Grade 0s. They interact on a weekly basis, in order to create a bond between the two age groups. The programme gives the Grade 0s the opportunity to have older role models as they assimilate into their new “big” school. The Grade 7 “big brothers” assume roles of service and responsibility during fun activities that include treasure hunts, obstacle courses, ball skills and story reading. The two groups also go on outings together, giving them the opportunity to enjoy some time away from school, and to visit various educational facilities in and around Johannesburg.